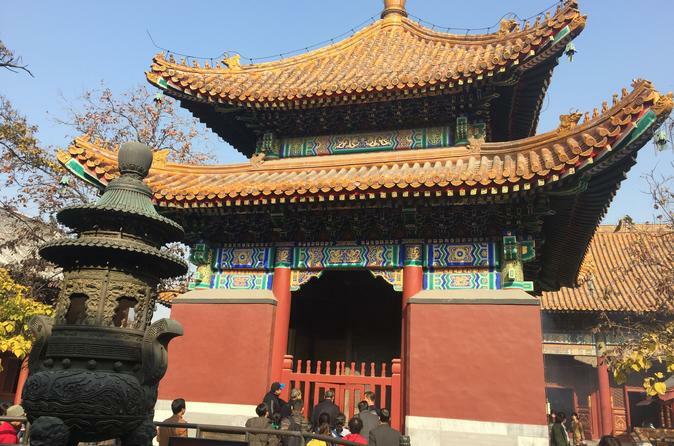 See some of Beijing’s natural and historical highlights on a full-day excursion to the sacred Lama Temple and Beijing Zoo. Accompanied by a knowledgeable guide, gain fascinating insight into the rich history of one of the world’s most significant Tibetan Buddhist monasteries; admire the intricate architecture of the Lama Temple and then venture to Beijing Zoo to see a diverse array of wildlife species. Observe endangered animals like the giant panda before visiting a magnificent museum to delve into Chinese architecture and agriculture from ancient times. Salga de su hotel de Beijing en un cómodo monovolumen con aire acondicionado y diríjase al lugar sagrado del Templo Lama, una antigua residencia de la corte real que ahora se considera uno de los monasterios budistas tibetanos más importantes del mundo. Escuche mientras su experto guía cuenta los 400 años de historia del templo y recorra los tranquilos jardines en busca de increíbles esculturas y arte chino venerado. 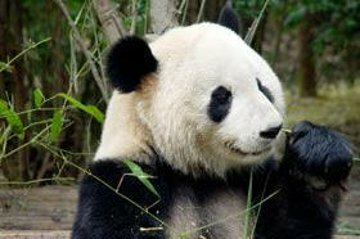 A continuación, dirígete al zoológico de Beijing para ver a uno de los animales más preciados de China, el panda gigante. Maravíllate ante los animales en peligro de extinción en réplicas realistas de su hábitat natural y obtén información sobre el comportamiento y la fisiología de los mamíferos a través de tu guía experto. Revitalícese con un delicioso almuerzo chino antes de viajar a un antiguo altar del siglo XIII construido para recordar a Shennong, un emperador que enseñó a sus súbditos el arte de la agricultura. Aventúrate en el interior para ver un museo que habla con elocuencia del importante patrimonio agrícola de China y luego regresa a tu vehículo para el viaje escénico de regreso a Beijing. Great tour to alternative attractions in Beijing. Love the Panda Garden! Interesting history lessons at the Lama Temple and Ancient Altar. Very good tour, Pandas exhibit was quite large and viewed several pandas. Lama Temple experience was quite impressive as was ancient altar. This was a very relaxing and insightful experience. Tour guide was wonderful and lunch was large and delicious. If museums are your thing I would recommend this tour. I found it a bit too slow a pace for myself and when it came time to see the Panda's, the time spent there seemed short. The tour guide was knowledgeable although a bit quiet at times. A great tour with so much interesting information provided by our guide. Great seeing the Pandas. Restaurant we were taken to for lunch was also really good. All good but did not enjoy the food. William was lovely and a great tour guide, there was only myself, my mum and my niece were on this tour, so William really took the time to make sure that we saw as much as possible without being rushed, really relaxed day, well worth the money! We've been to Beijing before and seen most of the high priority destinations. We had some spare time on this trip and found this tour which provided other things that we hadn't done. The guide, Maria, did an excellent job of taking us through a wonderful experience. The lunch at a small local Chinese restaurant was wonderful. The Zoo to see the Pandas was a wonderful experience. Nice trip with very knowledgable guide who spoke excellent English. The attractions were refreshingly uncrowded when I visited and I was lucky enough to be the only person on the tour that day which meant a truly personalised experience! What can I say...the pandas are too cute for words. Also saw beautiful peacocks and other exotics. The Tibetan Temple was awesome. Monks, nuns, and the faithful practicing their faith in a centuries old religious complex. A great day in Beijing.